I’ll tell you this… that’s the wrong attitude. If you feel like you missed out on a trade (or trades), don’t beat yourself up, instead, study the trade and ask yourself how you can get involved next time you see that same setup in the future. That’s why I’m continually drilling with you case studies like When to Avoid the Fish Hook, Sympathy Play Explained, and Breakout and Oversold Patterns. My successful clients might not trade like each other, but they have several common traits. You see, too many people get caught up in strategies and indicators, they forget it’s only one part of the equation… and sometimes a small part. Have you ever been in the same stock trade with someone you knew, but you two had different results because you traded it differently? Of course, it happens all the time. That’s why I always teach my clients to learn about the trader’s mindset, how to think and develop your ideas and not rely solely on my alerts. What’s my best advice to someone struggling or having inconsistent results with their trading? Develop a morning routine that puts you in the right state of mind to make money in the stock market. I’ve identified four actions to take that will immediately help you become a better trader, regardless of your current skill level. Read on to find out what they are. All successful traders have a routine. 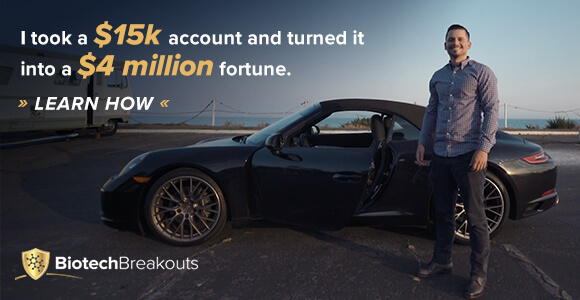 At Jason Bond Picks and Millionaire Roadmap, we teach traders how to develop a routine and a winning mindset. Have a clear mindset and be well rested. Have a clear and concise trading plan. That said, let’s take a look at how these simple techniques can help better your trading. The last thing you want to do is trade when you don’t have your head on straight. Well, one common trait I see in beginners is the fact they let often let emotions take over. When you’re first starting out, you might have some losses… but you shouldn’t let those losses affect your trading decision. That’s what we call trading on tilt. When you trade on tilt, you start to force trades… and trade strategies that haven’t been proven. Consequently, this can lead to overtrading, which would eat at your account. What’s the antidote for this? Only trade when you’re well rested. Walk away once you realize you’re letting your emotions take over your process. Journal your thoughts, how you’re feeling, and anything that you have on your mind every day before you trade. Now, there are some proactive steps to take to keep you in the right state of mind… one of these steps is to have a watchlist. Now, I send watchlists to Jason Bond Picks and Millionaire Roadmap clients. When you have a watchlist, it allows you to focus on your strategy and patterns. Basically, you can scan for stocks to trade using a tool like Finviz. Once you find stocks exhibiting high-probability trade setups with catalysts… you put it on your watchlist…and ultimately, you would develop a trading plan. For example, here’s a look at some stocks on a watchlist that I alerted Jason Bond Picks and Millionaire Roadmap clients about. CIFS – In play above $4 for a gap and go. Stop loss on this is below $3.80. With range to $6’s it could get juicy. Now Thursday’s alert was in the $2.90’s, so this becomes a breakout now and those require much more discipline. Probable target is middle $5’s for profit. BOXL – Finally breaking out above middle $3’s and could be very explosive to $5 early. This is an earnings winner and has a history of big spikes making today very attractive. I’d say $3.30’s will be the base of support to monitor but that could climb to $3.60’s so those are the stop loss ranges. upside here is $5’s if it works. Once you develop a watchlist and trading plan… it’s all about execution, and knowing which order types to use helps a lot with that. Now, once you have a trading plan, it’s up to you to stick to that. For example, if your trading plan says you would buy 500 shares of a stock if it reaches $4, take profits at $4.75… and stop out if it gets below $3.75. Then you would stick to those prices, and not get out unless there’s a material change in the pattern or catalysts. Once you’re done with a trade… you don’t just move on and look for the next one. At the end of the trading day, you should review your trades… which helps you develop the millionaire trader mindset. Did you stick to your trading plan? The time frame you entered the stock (was it a day trade or swing trade). Direction of your trade (for the most part traders in Jason Bond Picks and Millionaire Roadmap are long stocks). Price you entered, price you exited, stop loss price. The chart of the stock you traded. Once you have a journal of multiple trades… it allows you to see a pattern of what you’re doing right and what you’re doing wrong. For example, let’s say you day trade and swing trade… but notice you’re actually losing money when you day trade… then you would cut your day trading strategies and just focus on your money maker – swing trading. Now, the more you take these action steps the quicker they become a habit. And from there, we can build on to setting new goals and challenges for ourselves. If you’re looking for some encouragement on how far you can take it, check out my new milestones program, it was created to help you stay motivated and focused. 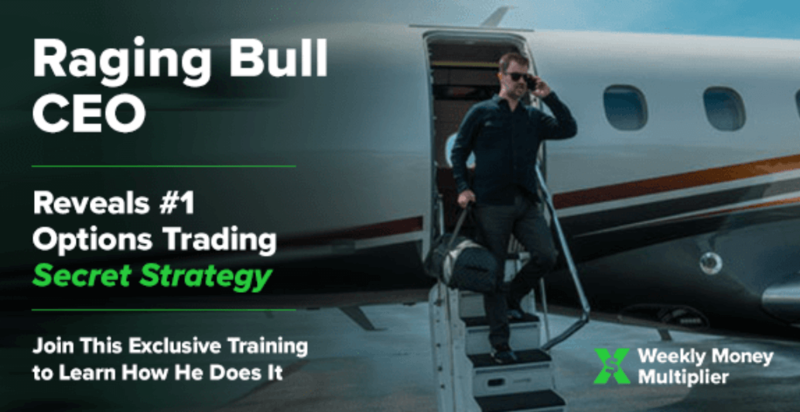 Learn Jason's Winning Stock Trading Strategy "How I Made Over $330,000 in Verified Profits Last Year Trading Part-Time From Home"
"The Basics of Swing Trading" (Selling For $997 On My Website Right Now! ).